After last year’s “Brick Body Kids Still Daydream” I didn’t think I could become a larger fan of LA-based, indie rapper Open Mike Eagle. His introspective, witty lyrics delivered with a quiet yet emotional cadence, were a standout among the other hip hop releases of last year. However, Open Mike Eagle isn’t a stranger to deeply personal lyricism. He’s been releasing music for eight years now and with each release he somehow manages to create tracks that are both more funny and more intimate than the last. This latest EP is no different. In its short runtime it manages to leave its mark with hilarious, heady one-liners and unique production. 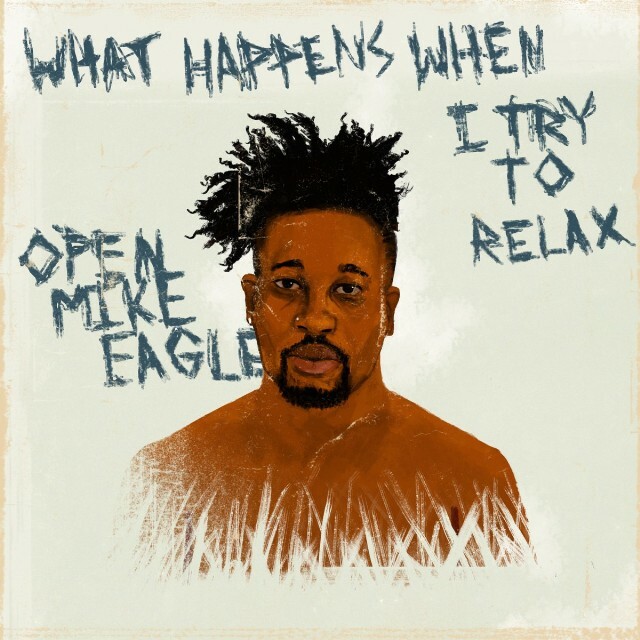 Open Mike Eagle continues his run of great releases with, “What Happens When I Try To Relax” and proves that he is one of the best indie rappers making music right now. 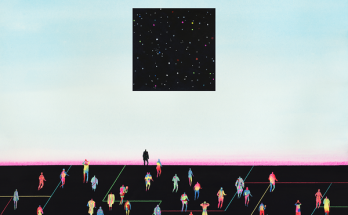 The first song, “Relatable,” is an immediate standout track. The hard hitting production and Mike’s more aggressive flow separate it from the laid back, quieter sound that was all over “Brick Body Kids Still Daydream.” On the track OME talks about everything from cutting his cable to his garbage disposal being stuck on a vegetable. He raps about all of the anxieties he faces day to day, and just like the title suggests, he tries to relate to his listeners. It’s a theme that is consistent across the 6 track EP. Whether he tackles our current social-political climate with line like, “In my nightmares, I swear, there’s some Nazi blacks/They say pull yourself up by your Huarache straps,” or giving us his hot takes on social media when he raps, “Reading Twitter takes, checking Instagram/Then I remember that I really hate Instagram,” it seems like Open Mike Eagle has a hot take on everything. OME covers a wide range of topics on these 6 tracks and addresses each with the same wit as he did the one before it. On the track “Single Ghosts” he talks about being ghosted by his significant other and compares them to an actual ghost when we says, “I know apparitions and apparitions but don’t nobody haunt me like you,” followed by a witty Ghostbusters reference. On “Microfiche” OME raps about Colin Kaepernick’s activism and how some people choose to ignore the divisiveness in America and prefer to think that everything is fine. It’s amazing how much he managed to pack into this EP. It’s dense with hilarious one-liners and smart takes on the world around him. The production is off-kilter and at time ethereal. It’s a different sound than most hip hop audiences are used to but OME pulls it off as effortlessly as he has on previous projects. And while the production is great, it’s his wordplay that always ends up stealing the show. Lines like, “I’ve been on every podcast I listen to,” and “It’s like people die when they phones do,” are what make an Open Mike Eagle project like this worth listening to. While this lacks the overarching theme of “Brick Body Kids Still Daydream,” that’s not something I would expect from a small project like this one. The runtime is less than 20 minutes but OME has me entertained from the first minute to the last. The humor all over this project has me wanting to dig into his standup comedy next and has me really anticipating his next full-length release.